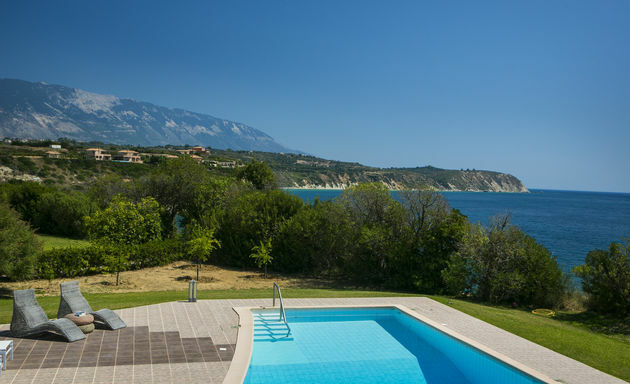 Villa Acacia has private grounds leading to the sea close to Cephalonia's southern coast of sandy beaches. 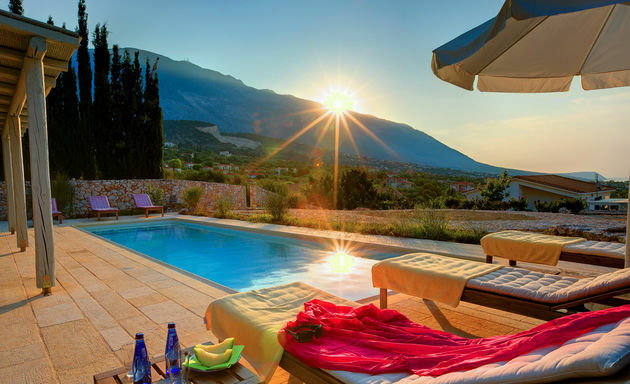 Villa Adrianna has a totally private, hillside location above Kaminia beach. 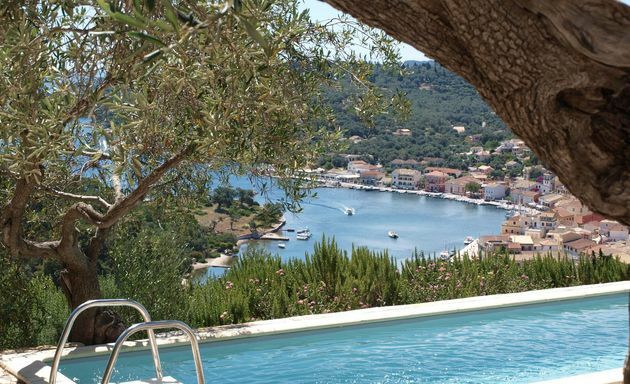 Aetofolia’s hilltop hideaway has total privacy and one of the most incredible views we have encountered on Paxos. Agni Bay Villa is just an 8 minute walk from Agni beach. Villa Akantha is on a hillside terrace above the sandy beach of Trapezaki on Kefalonia’s south coast. 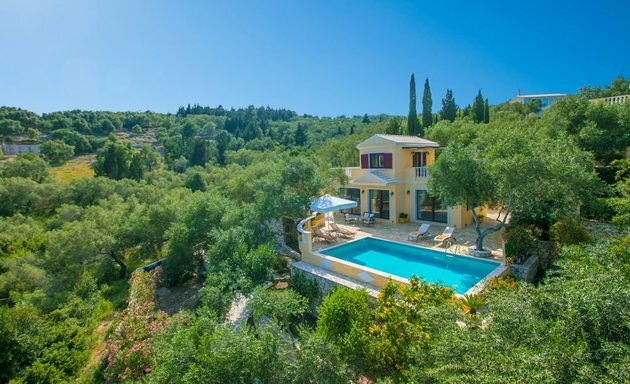 Villa Albizia is a 15 minute walk away from Loggos waterfront on Paxos' east coast. Villa Aleka stands on a hillside terrace above the bay of Nissaki and has dramatic views along the east coast of Corfu. 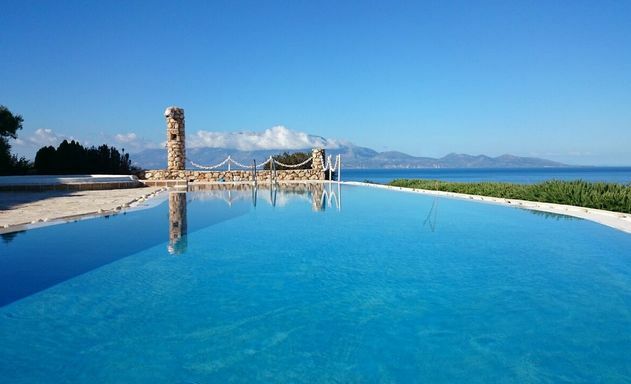 Villa Alessa is a 5 minute drive to Agios Nikolaos and is close to the beaches of Zakynthos' north east coastline. 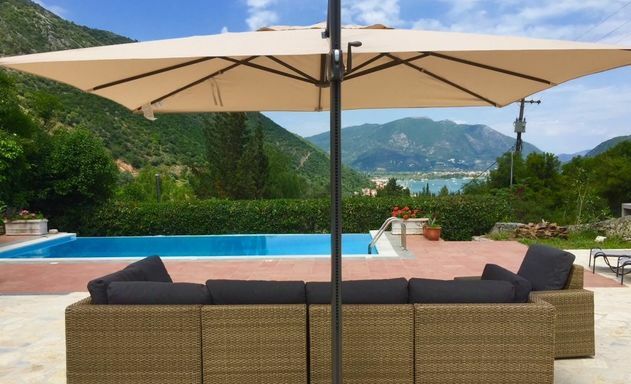 Villa Alexandra is just 700 metres from sandy Almyros beach on Corfu's north east coast. 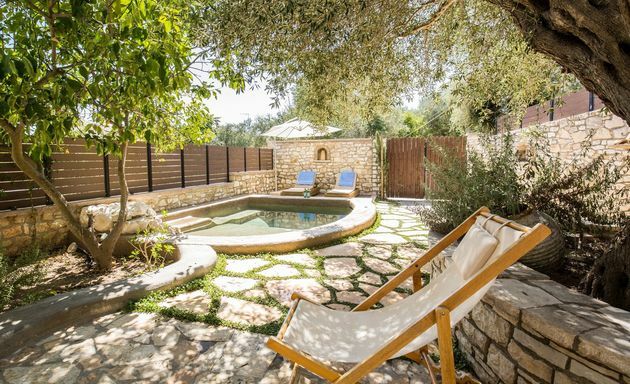 Set above the sandy beach of Trapezaki, Amalthea has stunning views down the valley of olive groves to the sea. 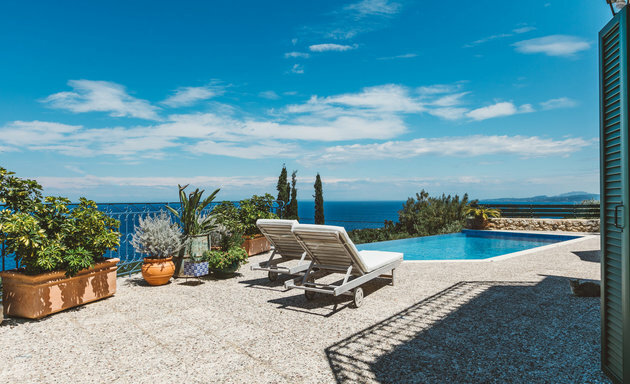 Overlooking the west coast, Villa Amelia has theatrical views across the sea to the island of AntiPaxos and the mountains of the mainland beyond. Villa Amphitriti sits above the sea, close to Agios Nikolaos, with magnificent views to Kefalonia. 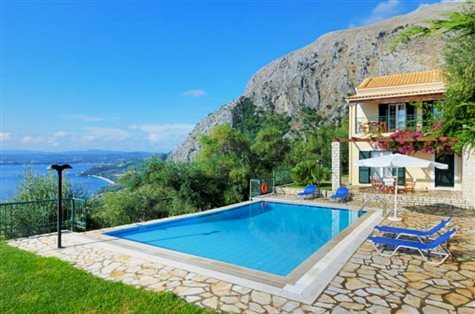 Villa Anassa has views over the fjord-like entrance to Gaios port and is close to east coast beaches. 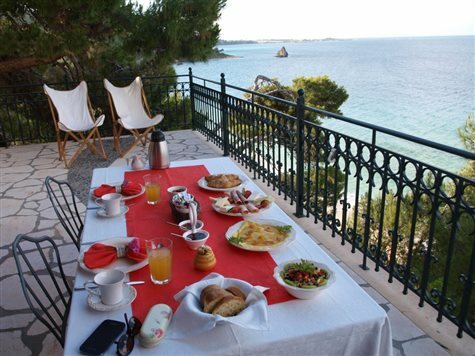 Villa Anastasia sits directly above the sea on the east coast of Paxos, just a few bays north of Gaios. The grounds extend to the water’s edge. 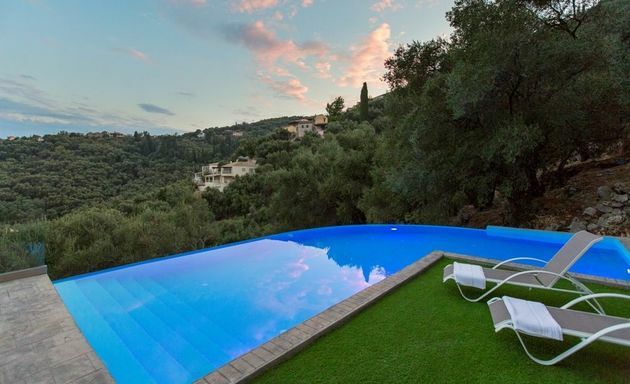 Anetta is a swish villa surrounded by olive groves and is just 150 metres away from the sandy beach of Kanouli on Corfu's south-west coast. The villa’s many terraces are akin to comfortable theatre boxes to watch the arriving and departing yachts, fishing boats, small ferries and the occasional school of dolphins. 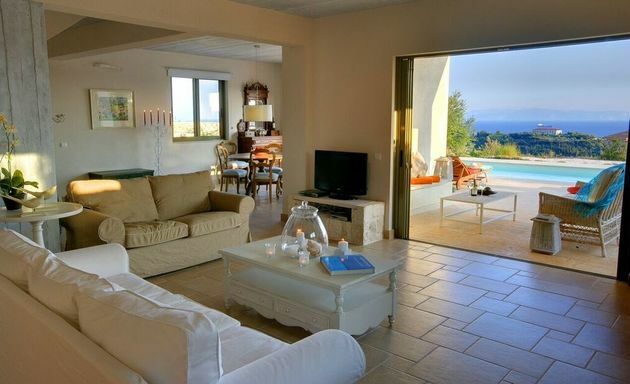 Anna's Cottage has spectacular views down a valley of silver olive trees and across Vlicho Bay.